Make learning fun and exciting with the K’NEX Education Kid K’NEX Group Building Set! This toy set allows six to eight children to build eight different animal creatures at once. It contains 131 big, soft, and chunky pieces that can be mixed and matched to turn whatever the children imagine into real creations. These pieces include 10 vibrant and hypnotic eyes as well as a pair of ears that can also be used as wings. Let your children unleash their ingenuity and creativity as they build dogs, butterflies, spiders, and more. Each group building set can accommodate six to eight children at once. K’NEX Education helps nurture your child’s learning development through engaging with STEAM (science, technology, engineering, arts, and math) concepts. As they create animal models using these assorted pieces, they develop dexterity and fine motor skills as well as critical-thinking capabilities and imagination. You also don’t have to worry about where to store these chunky pieces after playtime, since this set comes with a handy, reusable container. It also includes correspondence cards that provide ideas and tips for little builders so that they can create structures on their own. These guides are aligned with national educational standards, including ITEEA, NSES, NCTM, NGSS, and Common Core. This makes this set an ideal educational tool for preschool to second-grade students. Let your children discover and develop their capabilities with the K’NEX Education Kid K’NEX Group Building Set! 131 COLORFUL PIECES – The K’NEX Education Kid K’NEX Group Building Set contains 131 big, soft, and chunky pieces that boast vibrant colors and high-quality construction. These pieces include 10 vibrant and hypnotic eyes as well as a pair of ears that can also be used as wings. The parts can snap and bend to make rounded and cornered configurations. Let your children mix and match them to build whatever they imagine! 8 BUILDING MODELS – Build 8 different animal creatures with this preschool education toy set! The colorful pieces allow builders to create a dog, a butterfly, a spider, and more. Let your children unleash their potential and creativity as they make a wide variety of models with this imaginative set. Each group building set can accommodate 6 to 8 children. ADVANCED PRESCHOOL LEARNING – K’NEX Education helps nurture your child’s learning development. As they create different models using these assorted pieces, they develop dexterity and fine motor skills as well as critical-thinking capabilities and imagination. EASY TO BUILD AND CLEAN UP – You no longer have to worry about where to store these chunky pieces after playtime, since this set comes with a handy, reusable container. Correspondence cards are also included to provide ideas and tips for little builders, making this set an ideal educational tool for preschool to 2nd grade students. STEAMagination : It’s the connection of STEAM (science, technology, engineering, arts & math) with a child’s natural curiosity and creativity and it powers the fun of each and every K’NEX building set. Building with K’NEX puts children on a path towards a fundamental understanding of STEAM/STEM subjects. ALIGNED TO NATIONAL STANDARDS: K’NEX Education teacher guides and experiment guides are aligned to national educational standards, including ITEEA, NSES, NCTM, NGSS and Common Core. 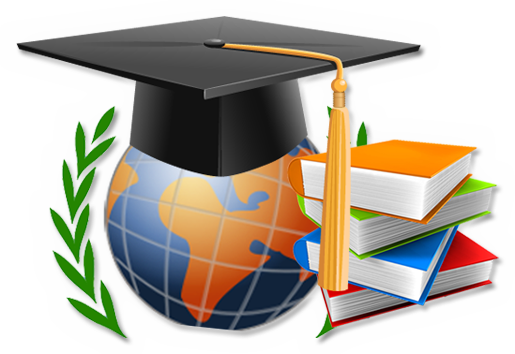 REAL WORLD LEARNING: Study after study reveals that students have more success learning STEM subjects through activities related to the real world rather than reading about abstract concepts in textbooks. 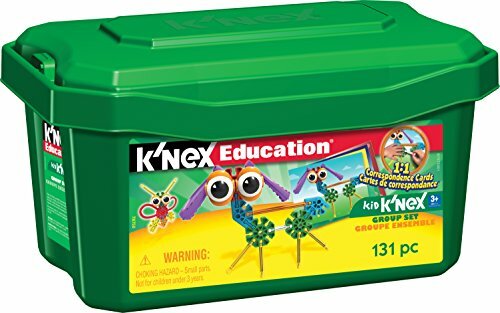 K’NEX Education sets allow students to build replicas of real-world machines and contraptions and through the lesson plans and experiments, gain a concrete understanding of the principles that make them work.